I can't think of any two metal subgenres that embrace aggression or personify intensity as much as thrash or crust do. Sure, there's the abrasiveness of war metal and the horrifyingly awful repetitiveness of brutal death metal, but neither boast the memorability or catchiness of some good ol' metalpunk or thrash (There are a few exceptions to this, though). 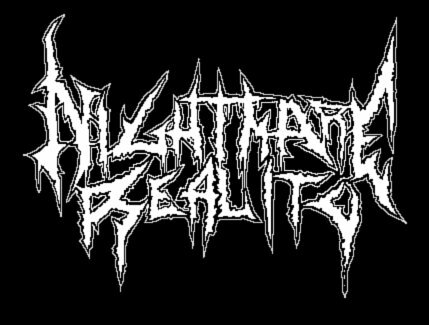 So when encountering an album like "Behind the Realms of Madness," a record universally known as a prototype for the crust punk sound and one that possesses plenty of thrashing recklessness, there's of course going to be a solid amount of excitement and anticipation upon the first listen. Well, don't set your expectations too high unless you enjoy letting yourself down. Sacrilege's debut full-length is far from terrible, but it wanders aimlessly between tolerable and brilliant throughout its six song duration, just enough for it to hover on the higher part of the proverbial scale. The record gets off to a decent start with "Life Line," as it bombards the listener with passable thrashy riffs, crust oriented passages, wicked solos and over the top vocals, that have a lot of Grimmett-like tendencies, but with a lot more anger and attitude. 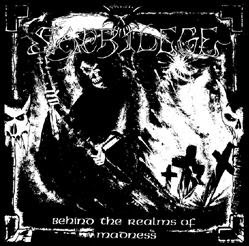 Sacrilege seemingly appears as an elite band once the next track "Shadow From Mordor" comes on with its dirge-like intro riffs and terrific solos. But that's the last we see of the greatness. The next four tracks on "Behind the Realms of Madness" are nothing more than visions of what could have been. "At Death's Door" features mediocre riffage until the break where the listener is treated to a catchy headbanger of a riff, only for it to drag on and go absolutely nowhere. "A Violation of Something Sacred" and "Out of Sight Out of Mind" both offer flashes of glory with Venom-esque riffs and moments of thrashy goodness, but neither ever ascend past the plateau made at the beginning of the record. It's too bad that Sacrilege didn't live up to the hype, and instead chose to tease the listener, making "Behind the Realms of Madness" a good album that could have been stellar. "A Violation of Something Sacred"